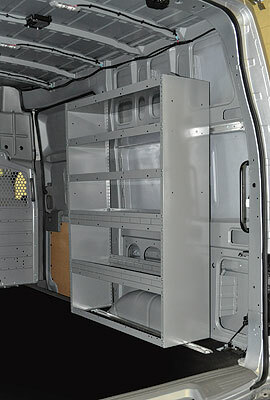 Utilize the height of your high roof NV Cargo with heavy-duty adjustable shelving. Features five shelves that are adjustable in 1" increments. Shelf gussets, end panel braces and full floor rail provide extra strength.